The Music Academy South Vocal Ensemble - Click to Learn More! Songwriting and Recording Lab - Click to Sign Up Now! Music Academy South is dedicated to providing service and value in assisting the musical and artistic endeavors of our students. You will find our studios a special place to learn, develop, and discover musical potential. Whether you have no musical experience or years of experience, we have a lesson plan perfect for your needs. 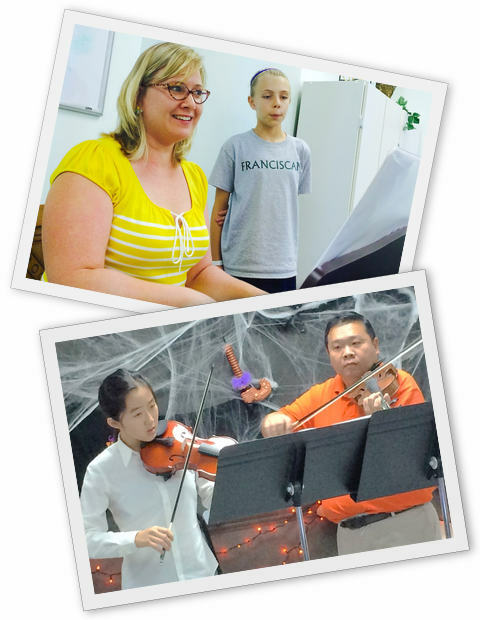 Our programs provide instruction and development for most ages and levels of music appreciation. Our goal is to nurture a love of the arts, first through an understanding of the students' instrument and then how their instrument interrelates with others through performances and study. If you have an interest in studying guitar, drums, piano, voice, violin, flute, trumpet, saxophone, clarinet, etc. ; we have a dedicated teacher for you. You can learn more about our teachers in our Meet the Faculty section. The academy's director, Dr. Jeanine Skinner, established the music school in 2003. In August 2015, MAS celebrated its 12th anniversary. During these 12 years our expansion of services continues to grow. Our next building expansion is in process and we will soon be able to offer more studios and opportunities for the community. Our successes bring great pride and continues to challenge us to excel beyond our walls, reach out to our community, and offer musical synergy in today’s world. We tailor our programs to accommodate both serious-minded/competitive students as well as the hobbyist. Please come by and see what we are all about. Our office hours are Monday through Friday, 11:00am to 7:00pm. We look forward to seeing you at the studio!